This is a Star Electronics Saturn ESC made in Great Britain, at least we think so according to the markings at the PCB board and some specs but we have not found any pictures for prove of this. 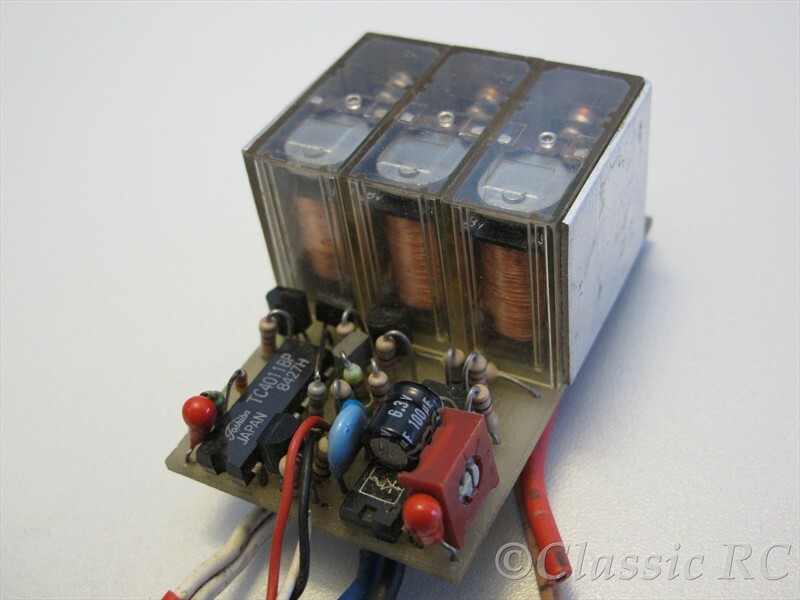 This ESC is using a unique arrangement of one powertransistor and three relays what means a speedrelay for bypassing the high voltage drop of the used darlingtontransistor at full throttle and the use of proportional reverse function. 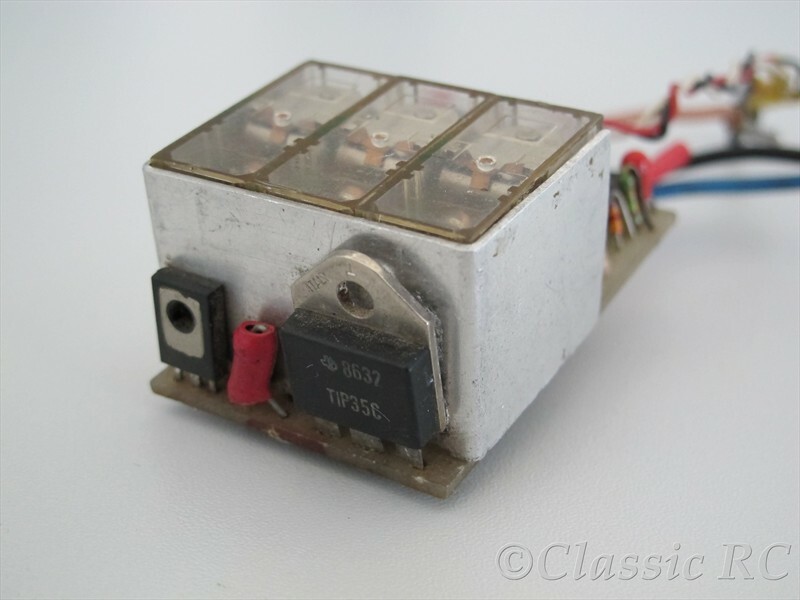 Because of some technical details we think this ESC was sold around 1983-1985. There had been other more known ESC from this British brand as the Quasar, some were used for 1/12th scale but most of them were found at offroad races.